The recent passing of Senator Edward Moore Kennedy symbolized the end of an era. Kennedy's passing not only ended the FDR style of liberalism, it ended the last practitioner of the art of gentlemanly politics. It is the art of politics I grew up with during my summer internship in the 1970's. It was a golden time of the day, a day in which I saw other lions such as House Speaker Tip O'Neill ,future Speaker Jim Wright, and Senator John Tower. These are guys I regularly saw in the Congressional cafeteria, soaking up their stories and political intellect. Hopefully in the future I told them I would use what I learned. They all laughed and encouraged me. Today I am encouraging other young men, and wondering where did the years go. 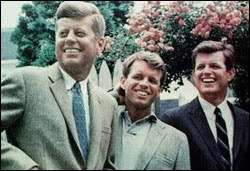 In tribute to Senator Kennedy and his legacy, I salute him and his years of public service ,and being kind to a young man from Texas. Football Season is here, Thank God! It could only mean two things, Kids are going back to school and the Texas heat will soon begin to go down. The Hall of Fame Game was played recently and the highlight was the Hall of Fame Induction of Bob Hayes. 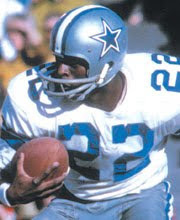 Bob Hayes the original number 22 of the Dallas Cowboys .My memories of Hayes as an athlete and a neighbor. Hayes lived across the street from my Dallas elementary school, William Brown Miller. The kids at the school at least those brave enough routinely went to Bob Hayes house to talk to him. He was always gracious and never had a moments hesitation in playing with us . Bob Hayes revolutionized the pro game by using his blinding speed that eventually made teams adopt the zone defense to stop him and the legion of speedsters that would follow him. Mr. Hayes welcome to the Hall of Fame and on behalf of all the neighborhood kids- we miss you.